Casa Grande is a manor house dated to the XVIII century and it is located in the city center of Monterrey, Nuevo Leon. This exquisite manor house is currently used as headquarters to one of the most prestigious law schools in the country. 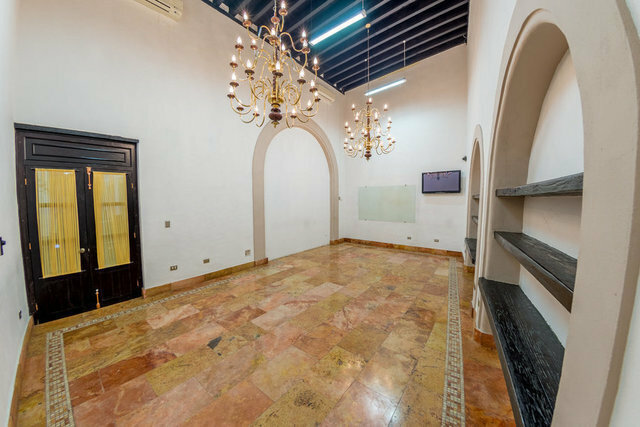 It´s history and architecture are well known and are characterised by elegant rooms that have decorated flooring and mosaics as well as antique chandeliers of great value. Mosaic walls, are pictorial pieces of art that are elaborated by stone, ceramic and glass to highlight the beauty of this manor house.